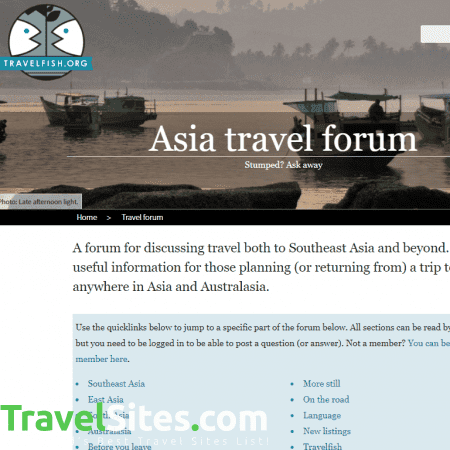 TravelFish Travel Forum is an online discussion board for discussing travel to South East Asia, including Burma, Cambodia, Indonesia, Laos, Thailand and Vietnam. 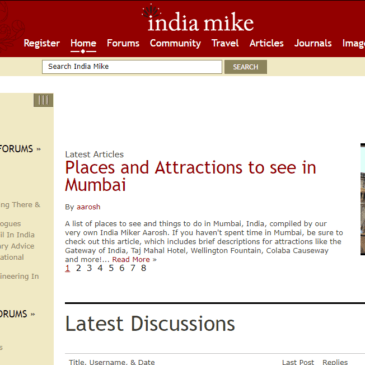 The website provides an independent travel guide for the region, featuring pre-planning information, weather, country backgrounds and itineraries, transport details, restaurants, hotels and things to do. 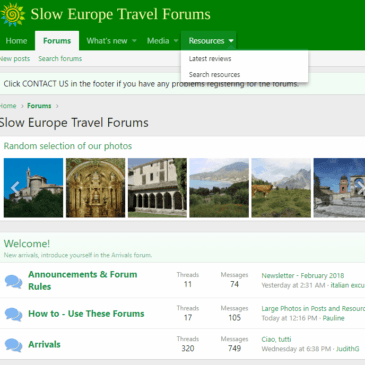 For me, one of the best features of the TravelFish Travel Forum is the quick links. 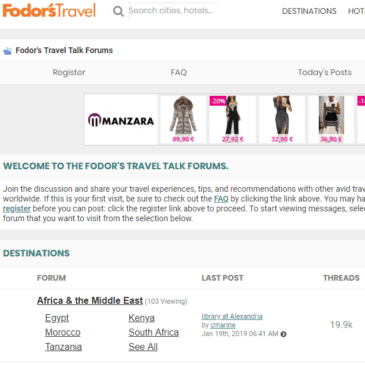 These allow users to quickly jump between sections of the forum, such as On The Road, Language, New Listings and Before You Leave, meaning you do not have to waste time searching around and fine tuning results. 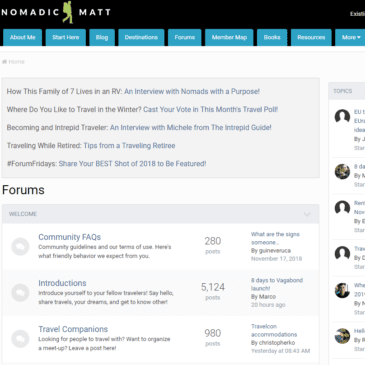 An issue, however, is that once you have selected the specific section you cannot then search posts by keywords, something that would make browsing the forum slightly easier. After clicking on a post, you can read the full question, view replies and find out where the person writing is located. 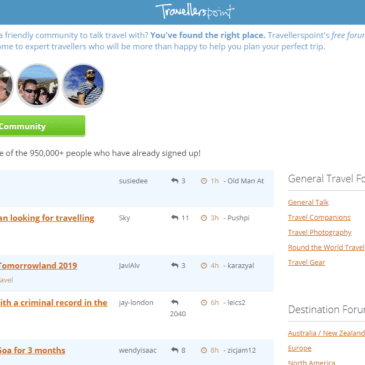 In order to leave your own feedback and pose your own questions, you must become a TravelFish member, which costs $35 USD per year. 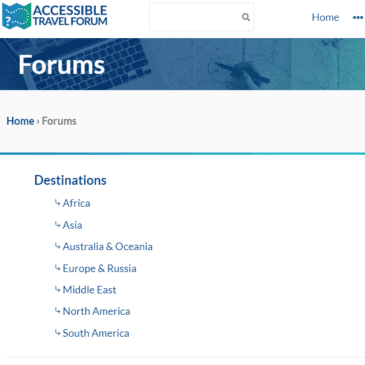 As well as full access to the forum, you will also be able to download more than 200 guides and get exclusive discounts on travel-related items. 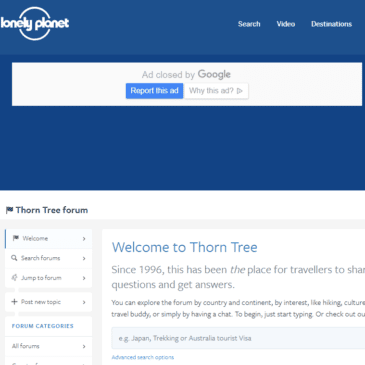 One problem I found with the forum was the inability to click on links shared in posts. 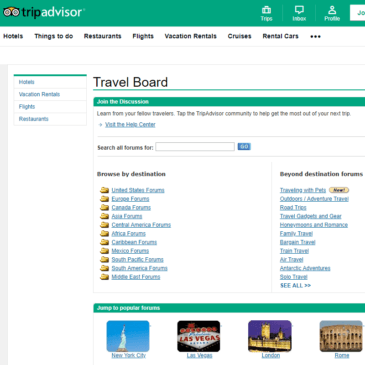 For example, if a user recommends a good website to buy travel gear by sharing a link, you will not be able to click on it and instead must go through the laborious process of opening a new tab, copy and pasting the link in and hitting enter. 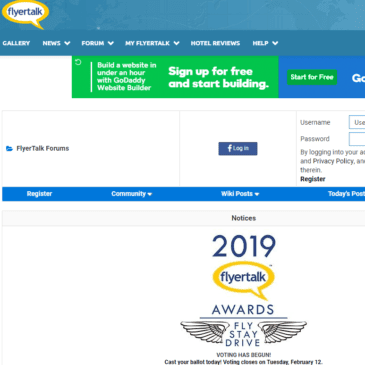 It is also not obvious what the content of each post is about, as the titles can often be fairly ambiguous, such as the name of a city or route.